Like generations of Tibetan nomads before him, Phuntsok Dorje makes a living raising yaks and other livestock on the vast alpine grasslands that provide a thatch on the roof of the world. But in recent years the vegetation around his home, the Tibetan plateau, has been destroyed by rising temperatures, excess livestock and plagues of insects and rodents. The high-altitude meadows are rarely mentioned in discussions of global warming, but the changes to this ground have a profound impact on Tibetan politics and the world’s ecological security. For Phuntsok Dorje, the issue is more down to earth. He is used to dramatically shifting cloudscapes above his head, but it is the changes below his feet that make him uneasy. “The grass used to be up to here,” Phuntsok says, indicating a point on his leg a little below the knee. "Twenty years ago, we had to scythe it down. But now, well, you can see for yourself. It's so short it looks like moss." The green prairie that used to surround his tent has become a brown desert. All that is left of the grasslands here are yellowing blotches on a stony surface riddled with rodent holes. It is the same across much of this plateau, which encompasses an area a third of the size of the United States. Scientists say the desertification of the mountain grasslands is accelerating climate change. Without its thatch, the roof of the world is less able to absorb moisture and more likely to radiate heat. Partly because of this, the Tibetan mountains have warmed two to three times faster than the global average; the permafrost and glaciers of the earth’s "third pole" are melting. To make matters worse, the towering Kunlun, Himalayan and Karakorum mountain ranges that surround the plateau act as a chimney for water vapour – which has a stronger greenhouse-gas effect than carbon dioxide – to be convected high into the stratosphere. Mixed with pollution, dust and black carbon (soot) from India and elsewhere, this spreads a brown cloud across swaths of the Eurasian landmass. When permafrost melts, it can also release methane, another powerful greenhouse gas. Xiao Ziniu, the director general of the Beijing climate centre, says Tibet’s climate is the most sensitive in Asia and influences the globe. Grassland degradation is evident along the twisting mountain road from Yushu to Xining, which passes through the Three Parallel Rivers national park, home to the upper reaches of the Yangtze, Yellow and Lancang rivers. Along some stretches the landscape is so barren it looks more like the Gobi desert than an alpine meadow. Phuntsok Dorje is among the last of the nomads scratching a living in one of the worst affected areas. "There used to be five families on this plain. Now we are the only one left and there is not enough grass even for us," he says. "It's getting drier and drier and there are more and more rats every year." Until about 10 years ago, the nearest town, Maduo, used to be the richest in Qinghai province thanks to herding, fishing and mining, but residents say their economy has dried up along with the nearby wetlands. "This all used to be a lake. There wasn't a road here then. Even a Jeep couldn't have made it through," said a Tibetan guide, Dalang Jiri, as we drove through the area. By one estimate, 70% of the former rangeland is now desert. "Maduo is now very poor. There is no way to make a living," said a Tibetan teacher who gave only one name, Angang. "The mines have closed and grasslands are destroyed. People just depend on the money they get from the government. They just sit on the kang [a raised, heated, floor] and wait for the next payment." Many of the local people are former herders moved off the land under a controversial "ecological migration" scheme launched in 2003. The government in Beijing is in the advanced stages of relocating between 50% and 80% of the 2.25 million nomads on the Tibetan plateau. According to state media, this programme aims to restore the grasslands, prevent overgrazing and improve living standards. The Tibetan government-in-exile says the scheme does little for the environment and is aimed at clearing the land for mineral extraction and moving potential supporters of the Dalai Lama into urban areas where they can be more easily controlled. Qinghai is dotted with resettlement centres, many on the way to becoming ghettos. Nomads are paid an annual allowance – of 3,000 yuan (about US$440) to 8,000 yuan (US$1,180) per household – to give up herding for 10 years and be provided with housing. As in some Native American reservations in the United States and Canada, they have trouble finding jobs. Many end up either unemployed or recycling rubbish or collecting dung. Some feel cheated. "If I could go back to herding, I would. But the land has been taken by the state and the livestock has been sold off so we are stuck here. It's hopeless," said Shang Lashi, a resident at a resettlement centre in Yushu. "We were promised jobs. But there is no work. We live on the 3,000 yuan a year allowance, but the officials deduct money from that for the housing, which was supposed to be free." Their situation was made worse by the earthquake that struck Yushu earlier this year, killing hundreds. People were crushed when their new concrete homes collapsed, a risk they would not have faced in their itinerant life on the grasslands. Many are once again living under canvas – in disaster relief tents and without land or cattle. In a sign of the sensitivity of the subject, the authorities declined to officially answer The Guardian’s questions. Privately, officials said resettlement and other efforts to restore the grassland, including fencing off the worst areas, were worthwhile. "The situation has improved slightly in the past five years. We are working on seven areas, planting trees and trying to restore the ecosystem around closed gold mines," said one environmental officer. The problem would not be solved in the short term. "This area is particularly fragile. Once the grasslands are destroyed, they rarely come back. It is very difficult to grow grass at high altitude." The programme's effectiveness is questioned by others, including Wang Yongchen, founder of the Green Earth Volunteers NGO and a regular visitor to the plateau for 10 years. "Overgrazing was considered a possible cause of the grassland degradation, but things haven't improved since the herds were enclosed and the nomads moved. I think climate change and mining have had a bigger impact." Assessing the programme is complicated by political tensions. In the past year, three prominent Tibetan environmental campaigners have been arrested after exposing corruption and flaws in wildlife conservation on the plateau. Another activist, who declined to give his name, said it was difficult to comment. "The situation is complicated. Some areas of grassland are getting better. Others are worse. There are so many factors involved." A growing population of pika, gerbils, mice and other rodents is also blamed for degradation of the land because they burrow into the soil and eat grass roots. Zoologists say this highlights how ecosystems can quickly move out of balance. Rodent numbers have increased dramatically in 10 years because their natural predators – hawks, eagles and leopards – have been hunted close to extinction. Belatedly, the authorities are trying to protect wildlife and attract birds of prey by erecting steel vantage points to replace felled trees. There is widespread agreement that this climatically important region needs more study. "People have not paid enough attention to the Tibetan plateau. 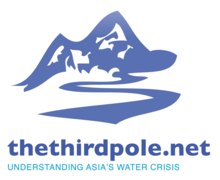 They call it the third pole but actually it is more important than the Arctic or Antarctic because it is closer to human communities," said Yang Yong, a Chinese explorer and environmental activist. "This area needs a great deal more research. The changes to glaciers and grasslands are very fast. The desertification of the grassland is a very evident phenomenon on the plateau. It's a reaction by a sensitive ecosystem that will precede similar reactions elsewhere." Phuntsok Dorje is unlikely to take part in any study. But he's seen enough to be pessimistic about the future. "The weather is changing. It used to rain a lot in the summer and snow in the winter. There was a strong contrast between the seasons, but not now. It's getting drier year after year. If it carries on like this, I have no idea what I will do." The severe impact of black carbon (soot) on climate change has been known about for years. Our leaders choose to ignore this. Probable reasons include 1) dealing with pollution at industry level would slow down economic growth (i.e. climate change and loss of natural wealth), 2) prohibiting the use of vehicles which have sooty exhausts (a problem even in London) and 3) the fuel which many poor people use for heating and cooking is a major source of black carbon. If it is asserted that introducing very low-cost sustainable stoves designed (with input from users) to reduce soot and to use no more of the same fuel as before would be culturally or politically insensitive. However, given that users' health and quality of life would improve as a result, users would presumably welcome such devices. The reality is that such simple "solutions" are unattractive to donors (and their counterparts in recipient countries) - who prefer dispensing large sums of money to few complex projects rather than small sums of money to many simple ones. "It is the same across much of this plateau, which encompasses an area a third of the size of the United States." This statement is rather arbitrary. Investigations on the Tibetan plateau indicated that large-scale grassland degradation did not occur as the government and some researchers insisted. What local herders most complain about is only the localized destruction caused by rodents and/or wind erosion and desertification (including the damages caused by infrastructure projects and mining, as Wang Yongchen mentioned). Therefore when referring to the grassland ecology of the Qinghai-Tibetan Plateau, two essential questions have been long neglected. First, did the large-scale grassland degradation occur as the government and some researchers (including the media) insist? Second, is overgrazing the major cause of grassland degradation (if it ever occurred)? On-site investigations further indicated that it is widely believed by herders that livestock (including wild herbivores) don't destroy meadows. The only negative impact livestock can have on meadows is represented by their treading. Some eighty-year old herdman replied that, if meadows were really ruined by livestock, the area they live would now be a complete desert given that when he was a child there were hundreds of Asinus kiang in the district. However, the grass court fencing projects promoted by the government have aggravated the destruction of grassland (because areas where livestock tread were narrowed, increasing the frequency of treading). The grassland protecton projects carried out by the government, such as returning grazing land to grassland and rewarding systems for grassland protection, are based on conventional meadow balanced systems conceptions and regard overgrazing as the primary cause of grassland degradation. As a matter of fact, local herders claimed that what the government and researchers consider to be degraded grassland is not the product of a recent phenomonon, as it has always been like this in their memories. Those projects carried out by the government took huge costs with little effect and even aggravated the damage on grassland (mentioned before). Moreover, grassland after-culture in arid and semi-arid midwest regions of Tibet (where annual precipitation is less than 400ml) doesn't work at all. Huge ice fields in western China’s Tian Mountains are diminishing because of global warming. Jonathan Watts went to Urumqi No1 to see how the local people are being affected.